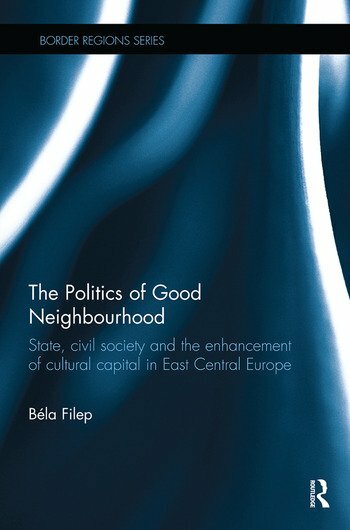 Analyzing neighbourly relations in multicultural societies, this book develops a concept of good neighbourhood and argues that cultural capital in various forms is the determining variable in building good-neighbourly relations. This work breaks new ground by offering a conceptual integration of different, mutually interdependent forms of capital: intercultural capital, cross- cultural social capital and multicultural capital. These forms of capital are linked to different educational and cultural policies of the state as well as to civil society involvement at different levels of implementation. Grounded in extensive fieldwork, the book not only provides critical insights into neighbourly relations in culturally diverse border regions of East Central Europe, but the concept developed through a rich theoretical base can be usefully adapted and widely applied to other contexts. Scholars and graduate- level students in geography, international relations, political science, social anthropology and sociology as well as policy practitioners with an interest in the negotiation of coexistence, minority issues and social and political cohesion in multicultural societies will find this an illuminating read. Béla Filep is Senior Researcher and Lecturer at the University of Bern in Switzerland and specializes in inter-ethnic relations, border studies and East Central Europe.